Gong Xi Fa Cai! Special incentives on 8 & 9 Feb! 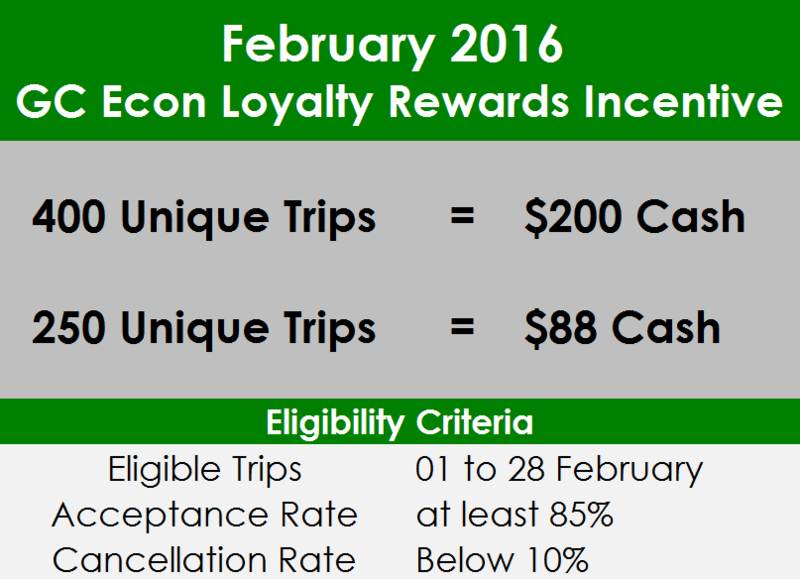 Drive and earn more this CNY with Grab’s GUARANTEED average fares & loyalty rewards! 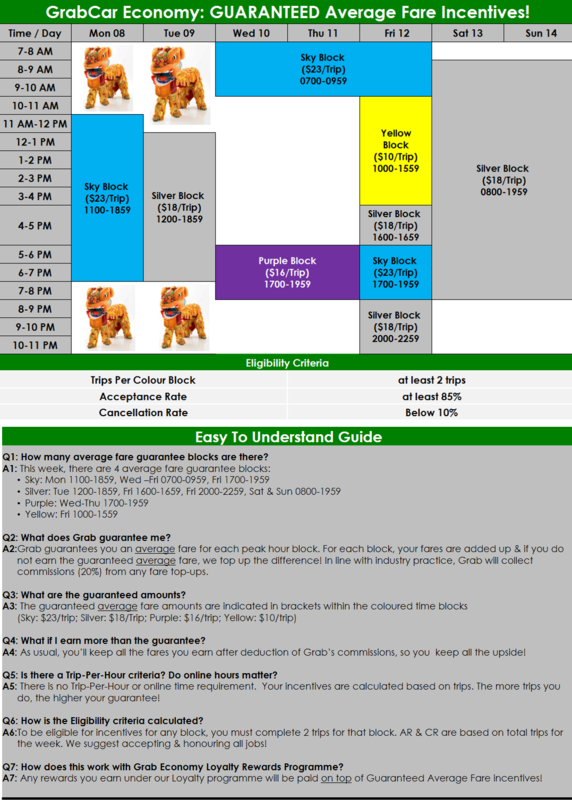 Achieve greater earnings & prosperity this Chinese New Year! We’ve increased your GUARANTEED Average Fare Incentives this Chinese New Year! Drive and earn more with 20 Sky Block hours this week! As usual, no minimum hours / trips per hour required. GrabTip to earn more: Refer a friend to drive with GrabCar! Increase your earnings by $100 CASH by introducing friendsto drive with GrabCar! Easy to earn – only 10 trips required. Now also applicable to GrabCar Premium referrals! Refer your friends to join us as a GrabCar driver-partner and earn $100 extra per successful referral. To get this referral bonus, the driver you refer ONLY needs to complete 10 unique trips within the first 2 weeks of activation! Don’t miss out on this opportunity to share the benefits of GrabCar with a friend today! Help them to achieve their goals and benefit too!